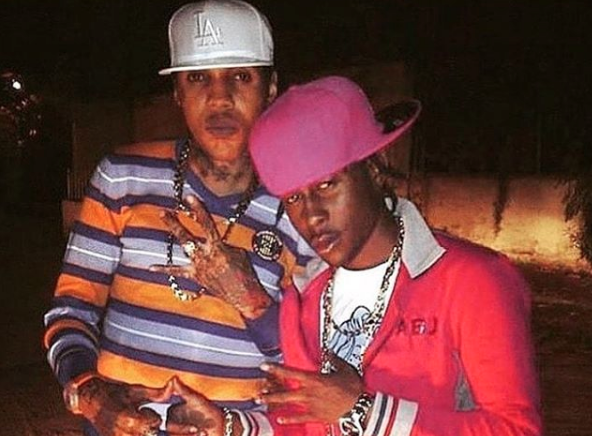 Vybz Kartel might be absent on Instagram but his Facebook account is very active these days. 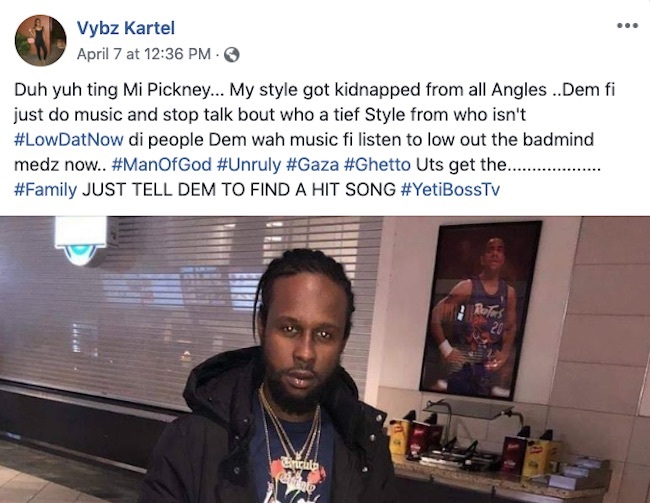 Last week, the incarcerated Dancehall superstar praised his former protege, Popcaan, on Facebook a day after taking jabs at longtime rivals Mavado, Alkaline and Jahmiel. Vybz Kartel’s post follows Alkaline’s recent Popcaan diss on Instagram. On Saturday, the Vendetta deejay took to his Instagram story to upload a video highlighting his gritty “Microwave” 2017 diss track aimed at the “Stay Dog” deejay. “Never forget! Behave unu self you hear?,” Alkaline said while laughing. He also wrote “DeadDemDead” over the video. According to Dancehall insiders Alkaline got upset over Popcaan new track “Sicario” produced by Notnice Records and Unruly Entertainment.